Mohammedan Sporting Club has been on the right track for some time now and have been edging closer to their glory days for some time now. Mohammedan Sporting Club Hony. 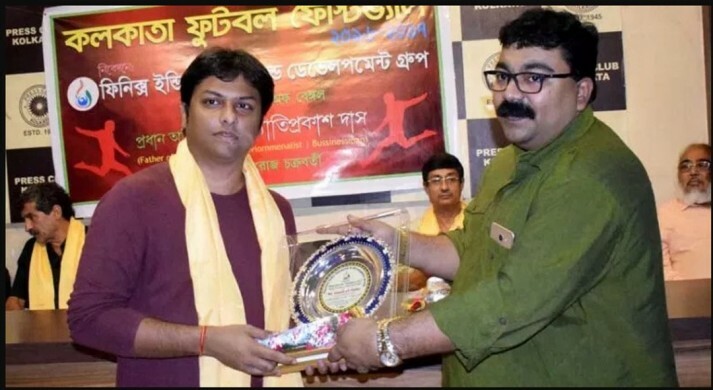 General Secretary Mr Ghazal Uz Zafar has been conferred with the Khel Gaurav Samman 2017, being the youngest General Secretary in Indian football, by Phoenix India Research & Development Group in Kolkata Press Club on Tuesday. The 27-year-old businessman took over as the General Secretary in December 2015 and under his regime, the Black Panthers became runners-up in 2016/17 Calcutta Football League after 8 long years before lifting the title in 2016 All India Governor’s Gold Cup in Sikkim for the first time since 1980. “This is an amazing honour for me to receive this award. This will serve as good motivation for me in future,” said Mr Zafar. Meanwhile, Mohammedan Sporting Club itself won the award for the best Grassroots Development Programme in Kolkata football. The club was commended for its efforts to promote and develop grassroots football in Kolkata. “The award is meaningful as it shows that we are on the right track in developing the youth. The recognition would motivate us to do more,” said club’s Youth Development Chairman Mr Sharique Ahmed, who received the award on behalf of Mohammedan Sporting Club. He also believes that the programme can still be improved and has an immense potential to cover more ground.